Maintaining a workforce that includes only citizens and legal residents of the United States is a challenge for all companies, especially those in the construction industry. FenceCorp, Inc. has taken a number of important steps to ensure that all its employees are legal residents. 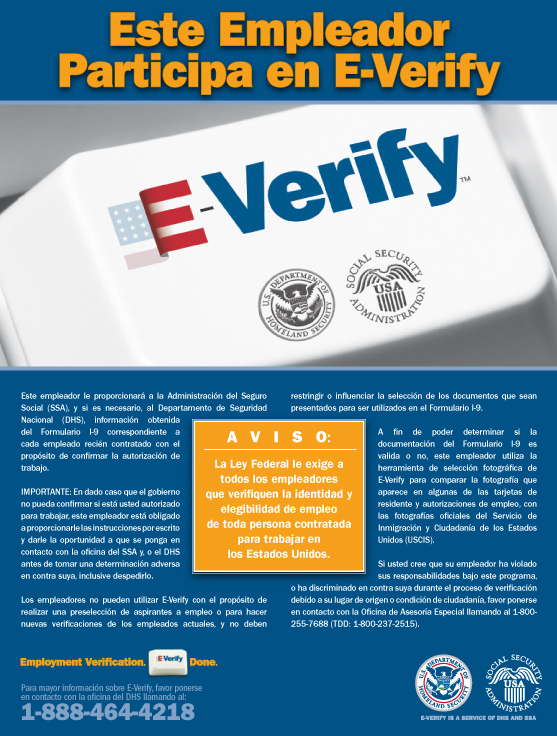 Since December 2005, FenceCorp, Inc. has voluntarily participated in the E-Verify program run by U.S. Citizenship and Immigration Service (USCIS). Through this program, all of our new employees are screened by the government to help verify their legal immigration status. 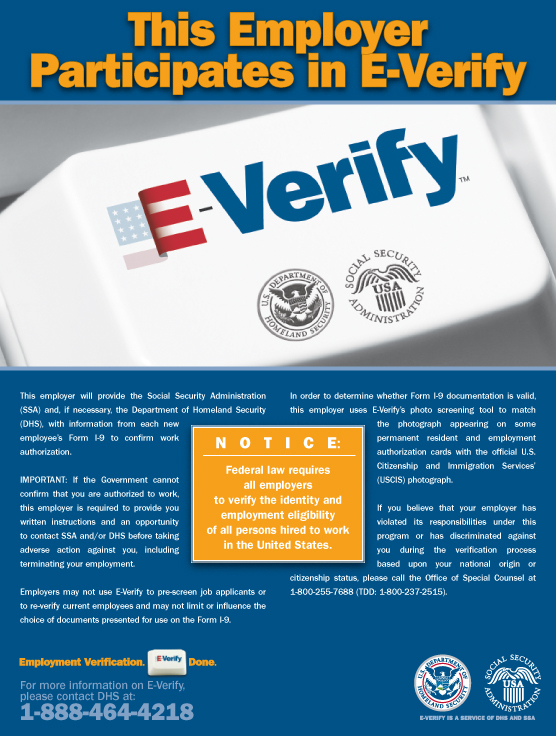 Participation in the E-Verify program has enabled FenceCorp, Inc. to verify the status of all new employees, while deterring those with fraudulent documents from applying for work. FenceCorp, Inc. has also implemented intensive training workshops for all employees involved in the hiring process. Regular internal I-9 audits are conducted by an outside firm, providing our hiring and administrative staff with the information they need to do the best possible job of maintaining compliance with immigration regulations. The company holds it contractors and subcontractors equally accountable for their hiring practices, in keeping with the same high standards as FenceCorp, Inc.. Please note that all immigration is sent through the Immigration and Customs Agency Basic Pilot Program. The United States Department of Homeland Security recently announced a new program regarding social security screening. Only those with valid documentation and legal status to work in this country need apply. If you want to join a team where integrity is the cornerstone of everything that we do, please contact our Human Resource Department. FenceCorp is committed to creating a diverse environment and is proud to be an equal opportunity employer. All qualified applicants will receive consideration for employment without regard to race, color, religion, gender, gender identity or expression, sexual orientation, national origin, genetics, disability, age, or veteran status.